The siblings of Mary Anne Ure, my great great grandmother, have been established as William, Margaret, Harriet and Alexander. Until recently I was satisfied with this line up but I’ve had a chance to view the Presbyterian visitation book of 1875 for Dublin, which very luckily includes my Ure family. They are written reports of conversations had with the family and have provided a few extra pieces of information. 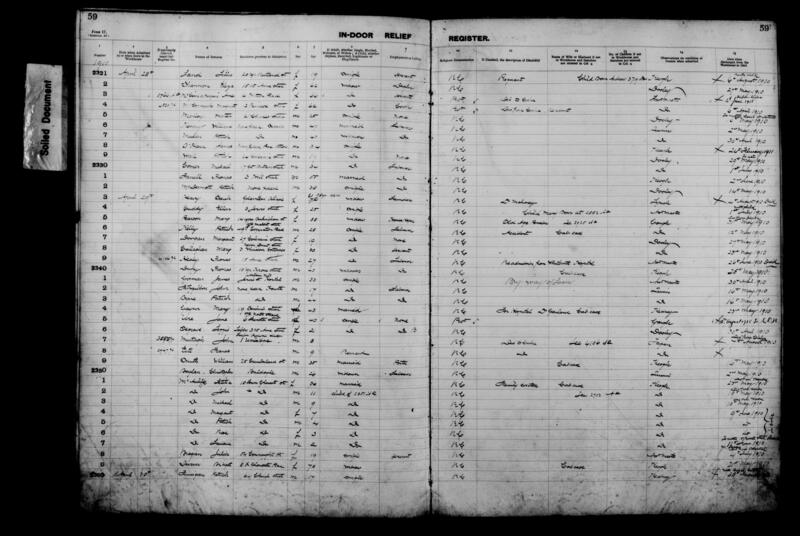 The Visitation book has been scanned and indexed by the Irish Genealogical Research Society. It is available exclusively to members. The family was visited 4 times at their 14 Monck Place home over the course of that year. They were not attached to any particular Presbyterian church but went wherever they could hear a good sermon! The mother of the family, Anne Johnson, is listed as a Methodist. She appears to have made one of the reports herself (perhaps her husband was not home?) mentioning that her father-in-law was a Presbyterian minister who had preached in Ormond Quay. I’ve checked and there was never a John Ure minister in Ireland, which opens up the possibility of a) him visiting from elsewhere or b) she was mixed up or just wrong. In either case, it seems clear that her father-in-law was dead by 1875. Two of the reports mentioned that Alexander was employed by Bewley & Draper. I know he was a clerk, and so perhaps he moved his skills to wherever there was work, as he is listed on two children’s births as a mercantile clerk and railway clerk. Perhaps the most intriguing piece of information to come out of these records is the knowledge that Alexander and Anne had 6 children. How would I find another child? By 1875, Alexander and Anne had been married for 27 years, so it was unlikely that this was an infant death. However, the admission records (as well as Board of Guardian minutes) for the various Dublin workhouses have also been recently digitised and released by Findmypast.ie. As with every new record set, I checked for Ure. I found information relating to William Ure, which is detailed on my main page, and about another potential connection but the focus of this page is one Jane Ure. She was admitted in the North Dublin workhouse in 29/04/1910. Her residence prior to entry was 6 Leinster St, off North Strand. This address immediately rang a bell and I soon realised that it was the address of Mary Anne Ure, now Walters, and her children on the 1911 census, just a year later. In other words, the chances of her being a relation are now very good. Jane Ure was single, 40 years old and a Protestant. If I am correct, this would make her the youngest child in the family. Under the column headed “Date Discharged from Workhouse or died” it says 02/08/1918, SDN. So she moved from the North Dublin to the South Dublin workhouse at some stage. There is a second entry for Jane Ure and it is indexed as 1918. The details match: a now 48 year old woman, Protestant, no occupation. Under the disability category – it says paralysis – and possibly another word. It also states that she died in March 1942. I’ve crossed referenced this to my civil records index and there is a Jane Ure death in 1942. Having purchased the cert, unfortunately, it contains no further helpful information, having the hospital occupier as informant, no other address or occupation, etc. 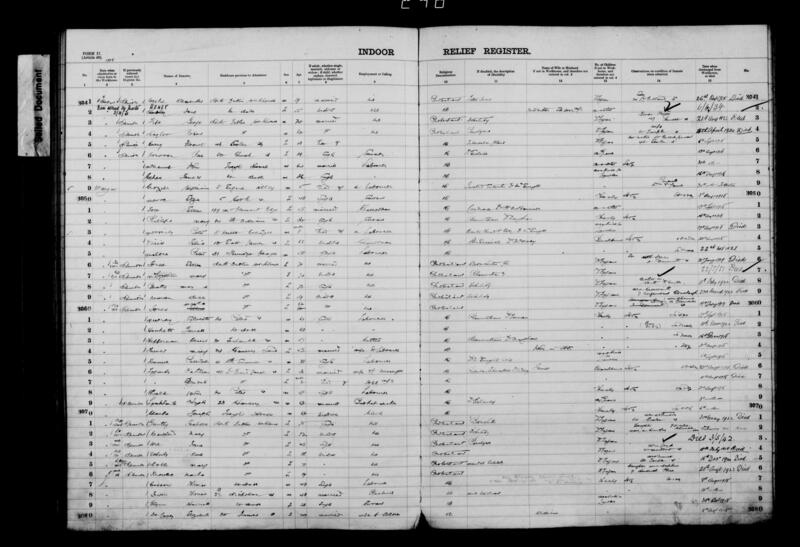 However, I believe I have found her on the 1911 census in the workhouse, which records initials only for the privacy. The age is wrong, 50 instead of 40, but I think her being 50 would fit much better with the rest of her siblings. The disease column seems to say “infantile paralysis” which is polio. Of course, if her age is correct, then it might possibly explain her disability, if her parents were much older having her. No luck yet searching the 1901 census for her.